We are all aware of how Instagram is not so “instant” anymore. The new Instagram algorithm means posts are no longer arranged in chronological order. The new algorithm reorders our feed based on what Instagram determines is most interesting to us. So what we thought we knew about best times and practices for sharing content can be tossed out the window. Let’s not dwell on this and instead focus on what can be done to get your content seen, because we’re doers, and we want you to do well. Right? IS INSTAGRAM’S ALGORITHM KILLING YOUR ENGAGEMENT? USE THESE STEPS TO BUILD A STRONG COMMUNITY! Rome wasn’t built in a day, but they were laying bricks every hour. Great, big, and solid things take time. Channel this mindset when working on building your community and social media following. The best way to increase engagement is to create a community management strategy. Start by engaging with those who already follow. Solidify this bond by commenting and liking their posts and following back. Build a list of Instagram profiles that your target audience is following. This could include your competitors, influencers, and other relevant channels in your industry. Check your list on daily basis and engage with their followers on their newest posts. Be sure to update this list regularly (weekly or monthly) to avoid exhausting these communities. Find a few hashtags relevant to your business and explore the posts there, engaging and following those who frequently use it. If you are targeting a specific location, check out who is posting using that location tag and engage with them. Try to caption your posts with open-ended questions. Use questions when commenting on other’s posts to spark conversation. Always like or reply to comments left for you. This may seem like a lot, but it is so important to create a loyal community as they will become brand evangelists for your company. Each social platform has its own purpose, audience, type of content that reigns champion, and provides a specific fulfilment or service for that audience. Instagram is an image and video based social media channel that prefers aesthetically pleasing content. It’s important to understand each platform and create content that will thrive on it. Repurposing content from other channels won’t necessarily create the same reach and achieve the community engagement you are trying to obtain. It is important to optimize your content for each channel. Create damn beautiful content, keep up to date with new features, and stay current on trends to make sure you are getting the most out of your social strategy. The best in the Instagram biz are all-star content creators. If you are putting out amazing images, videos, and messages, the quality will speak for itself. Put a little extra time and effort into your content. Develop a clear strategy. Create an editorial calendar. Ask questions and constantly engage with your audience. Learn what your followers want to see, and deliver. Need help with your content? MarketTap supports businesses with on-demand marketing services. You can book a free consultation call with a marketing specialist to chat about your marketing needs. Instagram Stories are great for boosting your engagement within your community. Give your audience a sneak peak. Promote a blog post. Have an influencer do a take-over. Adding a location sticker could result in your post being featured in that location’s story(https://techcrunch.com/2017/05/22/instagram-story-search/), which is basically free advertising. 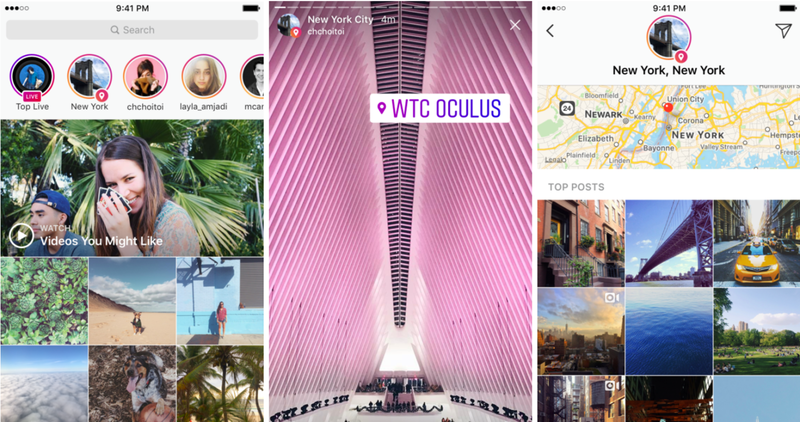 Much like location stickers, users can now share hashtag stickers on their Instagram Stories. Viewers will be able to tap these stickers to visit the hashtag page and explore other media that’s been shared with the same hashtag. Encourage conversation with your viewers. All of these tactics will boost reach, brand awareness and draw viewers back to your page. The new algorithm also seems to favour active accounts with a lot of engagement. Other tried and true Instagram marketing strategies include influencer marketing and boosting your posts with some of those marketing dollars. Now, this is more of an of-the-moment hack rather than a long time solution. And although they seem to be a great quick fix, questions regarding their ethicality are being asked. Instagram Pods are a group of 10-14 users, usually with similar tastes or business motives. They are organized in your Instagram inbox. These pods are a group of people dedicated to immediately liking and commenting on each other’s posts as soon as they are shared. This combination of likes and comments on a very recent post will push the image up in your follower’s feeds, and hopefully, if it’s good content, it’s new position will stick as more see and like it. Getting access to an already established pod can prove tricky and be wary of the lifespan of these pods. Like all social hacks, Instagram will soon enough put an end to these pods. Instagram went the opposite way of the mantra “if it ain’t broke, don’t fix it”. But these times they are a-changin’ and learning to adapt and evolve is what will separate you from the rest. Try out these strategies and tactics. Let us know what type of results you see!